Houston dim sum trumps Austin dim sum by a mile. I’ve tried 6 dim sum places in Houston and the one that my family and I always go back to is Golden Palace located next to a surplus restaurant supply store on Bellaire. Just nothing beats it. Not even Fung’s Kitchen which has a lot of hype and is a bit more showy and flashy than our humble but delicious Golden Palace. I forgot to post pictures from my last trip a few weeks ago to Houston. I did promise to take more individual photos of dim sum favorites. 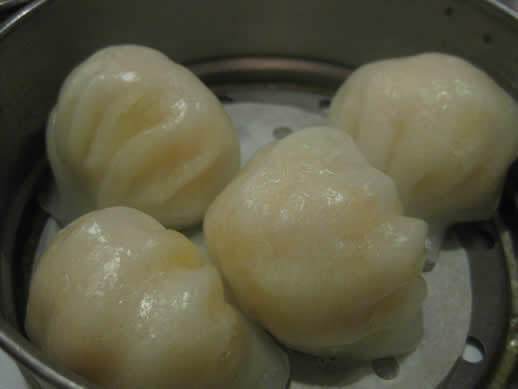 Very popular and very mandatory dish you must order: Shrimp dumplings. Nisreen always orders this when we go eat dim sum. Good because greens are good for you. 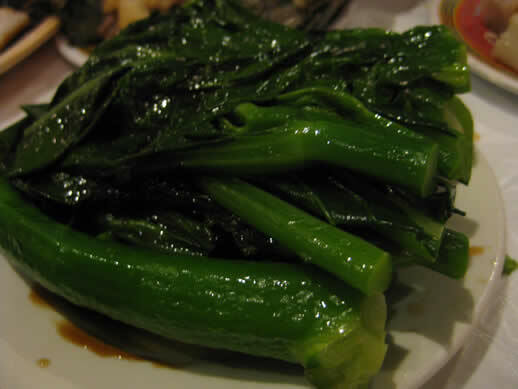 Steamed Chinese brocolli. Sticky rice cooked with all sorts of things. Usually some pork in there, sausage, chicken. 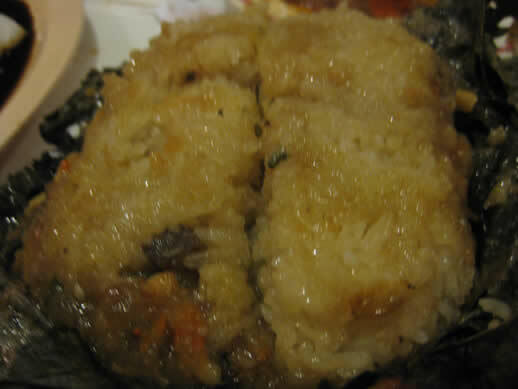 The rice is steamed and cooked with all the other stuff with it while wrapped by the lotus leaves. You don’t eat the lotus leaves but it does infuse flavoring into the rice. One of my favorites. We used to eat this for breakfast when I visited Vietnam. Nino and I have to get our own plates of this when we go. He orders a plate, I order a plate, and then the rest of the table get their own plate. It’s steamed rice noodles filled with some kind of meat. We like the shrimp. It’s then doused in sweetened soy sauce. My ultimate favorite. 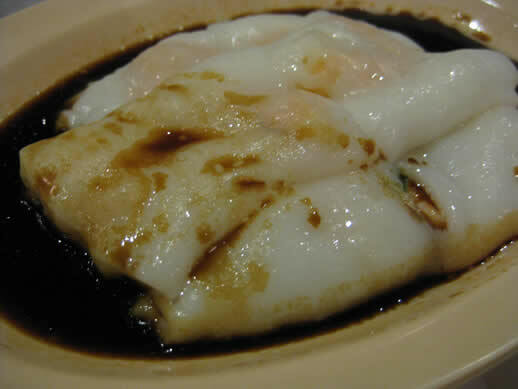 It’s called cheong fun. Don’t ask me how to pronounce it. I usually just point to everything when we order. Katambra and I like our egg cream dessert bun. 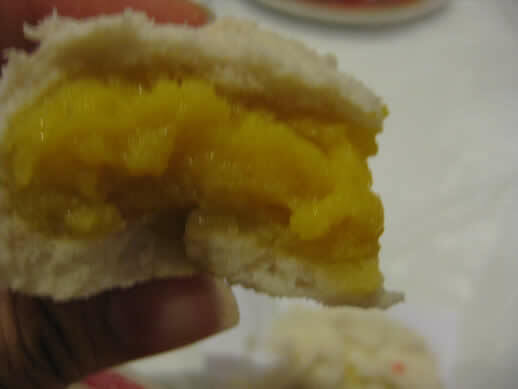 A steamed bun with egg cream filling. Yum! 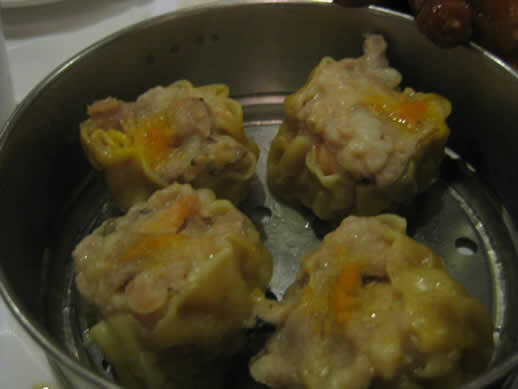 I’ll try to remember to snap photos of other dim sum dishes next time I have dim sum. In (dim) sum, Golden Palace is the way to go for dim sum in Houston, Texas.